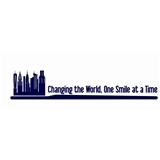 World Trade Center Dental Group (New York) - Book Appointment Online! At World Trade Center Dental Group, located in the Financial District of Manhattan, New York, we love what we do. Helping people to have bright healthy smiles and the best oral health with services ranging from cosmestic dentistry services like teeth whitening and Invisalign® to preventative care including routine checkups and oral cancer screenings, gives us a sense of grace and we will never take it for granted. We treat our patients as if each and everyone is a family member. We practice evidence-based dentistry. The procedures we perform and recommend are the ones recommended by the American Dental Association and Research. We use the best dental laboratories and materials in our practice. We invest in the latest technology so your visit is comfortable and pleasant. For efficient scheduling, if you have insurance, please provide us with group plan name, your membership ID number.